I have always considered ease to be the antonym, and indeed antidote, to stress. As a single mum, raising two children alone, whilst I run a business and a house, I know all too well that my life is at times – to put it mildly! – stressful. “Monster Mum” is the term my children and I have coined for when I lose my usual equilibrium and start racing around the house, yelling directions about laundry and room tidying like a Boot-camp Sergeant Major. “Chill Out, Mum” my kids will mutter under their breath, shutting their bedroom doors to escape my angry adrenalin. And I have always thought the antidote to this kind of manic stress must be just that – chilling out, breathing deep and finding inner calm amongst the tumultuous chaos. I’ve gone to great lengths to bring more space and ease into my living. I’ve learnt the art of boundaries and how to say some guilt-free no’s. I have found ways to prioritise and drop what isn’t useful. I’ve even made some progress on things not always being perfect, and have learnt that cereal for dinner on occasion is as good as any option. And all of this has no doubt helped to ease some of the demanding burdens that create a sense of stress. But still, I notice that it is not always easy to find an ease amongst all the doing. And, I’ve continued to twist myself into knots trying to work out how to do less and source the kind of calm and space I’ve been thinking that I’m wanting. But what if I’ve been looking in the wrong places? What if the antidote to stress – at least some of the time – is not necessarily ease after all? What if the antidote to stress is not about doing less; but is about doing more of what is pleasurable? Allowing acts of pleasure-seeking to bring more joy and aliveness to my living as an antidote to stress. This morning I went for an incredible hike. The sky was blue, the air chilly and invigorating and the views simply spectacular. The part of me weighed down with all I need to do this week felt I should keep the hike short, so I could get back to the pieces demanding my attention this busy week. I thought more space in my day would reduce the stress levels I could feel rising and provide the ease I knew my body was requiring. But something today let me choose differently and when my friend suggested a trail that would take a longer, winding path back, I said yes. I was having so much pleasure in that moment, I felt so much nourishment and joy from the walking, the beauty, the nature and our conversation, I simply didn’t want it to end. I returned home much later than I had scheduled, happy and filled up. And, the truth is I still got done what needed doing. More importantly, I have felt full of joy and delight all day, truly fed at a deep level by what my morning of pleasured escape provided. True pleasure acts as a powerful balm to our bodies, hearts and souls. And yet pleasure seems to get forgotten in the busy-ness of our doing; and the purported ethics of our living. When did you last prioritise your pleasure over duty or obligation? What would prioritising pleasure look like for you? What stories do you hold that sabotage you choosing pleasure? Elevating emotions is a fast-track to transformation. And, pleasure is guaranteed to elevate emotion. Elevating emotions changes our moods, releases feel good chemicals in the brain and raises our frequency to one that can further receive the good things in life. Moreover, your own joyful, grateful state in turn elevates the moods and emotions of those around you. So, should you need further encouragement, it turns out your pursuit of pleasure can actually help others! For some time, I have been on a mission to bring more pleasure to the forefront of my living. When I remember to do this, the consequences have been amazing. Pleasure is a power source that we tend to massively under-rate. Which is why pleasure has become a central tenet of my coaching programs and workshops. So, this week, I invite you to explore pleasure and how you hold it. What brings you joy? Delight? Pleasure? What could you do today to prioritise or choose pleasure? It could be as small a thing as choosing to walk on the sunny side of the street, or buying yourself some flowers or indulging in a buttery croissant. Perhaps you stop to smell the blossom on the tree you pass, or really savour the kiss your partner planted on your lips as you left the house this morning. Moments of pleasure are constantly being offered throughout our day. Generous antidotes to the pressures and stresses that habituate most days. It is up to us, and only us, whether we choose to embrace them. 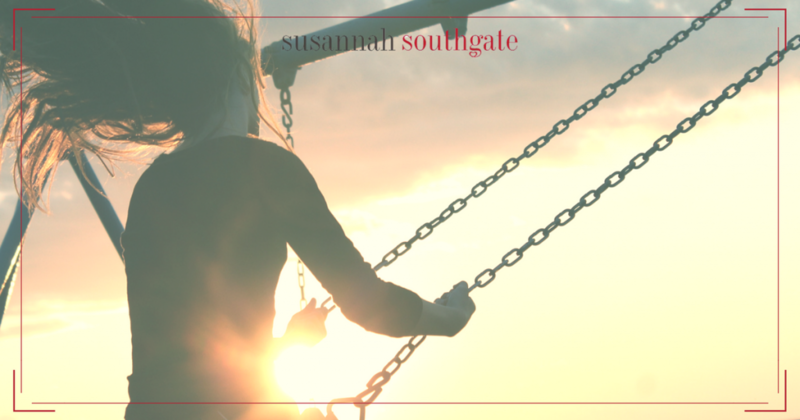 Dear Susannah, I have been enjoying all your blog posts, and this one particularly so. I second what you say, not only because it makes sense but from own experience. Pleasure is a powerful antidote to stress, refuels my energy levels and helps me to keep focus on what’s important. Looking forward to the next post! am so struck by how we forget that amongst the busy-ness. Thanks Karen, isn’t it so crazy what we will put over our own well-being and joy. I am so glad you are back to yoga!